In another blog, we provided our top tips for lighting your multi-fuel stove, every single time. However, as we all know, the process of cleaning a multi-fuel stove can be an arduous task if you don’t know what you’re doing. 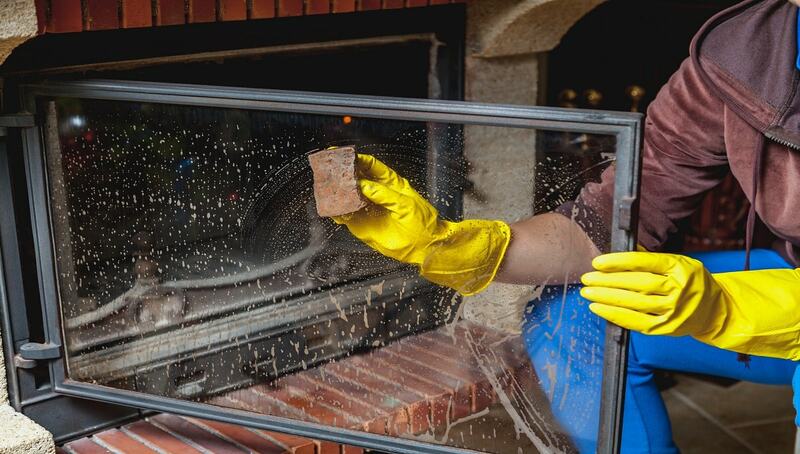 Therefore, in this post, Coal Hut are providing a step-by-step guide on how to clean your multi-fuel stove effectively. If you follow these simple steps, it will enhance the performance and longevity of your stove, resulting in a better burn for your buck. Give your multi-fuel stove sufficient time to cool down after usage. We recommend leaving your stove to cool overnight before any cleaning begins. Your multi-fuel stove is comprised of various internal parts, namely: the grate, ashpan, firebricks and baffle. These parts should be removed, taking extra care whilst handling firebricks as they have a tendency to become fragile and break after sustained usage. Multi-fuel stoves can easily become clogged up with excess ash and debris. Therefore, we recommend using a vacuum to clear away any residual materials. Be sure to remove any larger pieces of material away by hand or with tongs so as not to damage your vacuum. Through the use of a wire brush and scraper, you should now clean every internal surface within your multi-fuel stove. This will again create excess debris and, as before, a vacuum should be utilised accordingly. With wire brush in hand, you should now look to clean the grate of your stove. As you do this, we recommend examining for any damaged parts, as these will need to be removed and replaced to ensure that your stove performs as expected. It is now time to clean your firebricks. As a result of their fragility, we recommend using a softer brush than that used for the grate and internal surfaces. If you notice any minor surface wear and tear, don’t worry - that’s to be expected. However, if you notice any broken firebricks, you should look to remove and replace these as soon as possible. After cleaning the firebricks, you can now re-assemble the internal parts of your multi-fuel stove. Many multi-fuel stoves are glass-fronted. If this is the case for you, you should remove the glass and discard any the old rope seal that was holding it together. Once you have removed this rope seal, you will notice the remanence of glue that held the rope seal in place. In order to achieve an effective seal when re-attaching the glass front, this residual glue should be scraped away. Now, re-apply the rope seal by glueing it into place with a fire rope seal adhesive, and re-attach the glass front. There you have it, a step-by-step guide on how to clean your multi-fuel stove. Check out this list below, showing some of the high-quality stove fuels that we offer here at Coal Hut. To browse more of our industry-leading coals, smokeless fuels, fire logs and wood pellets, visit coalhut.com and order online, today!